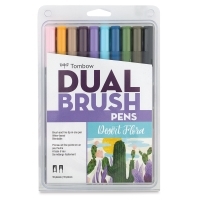 Tombow Dual Brush Pens have two tips — a flexible brush tip and a fine-point, hard nylon tip. 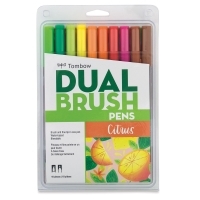 Both tips are fed from the same ink reservoir, ensuring exact color match. 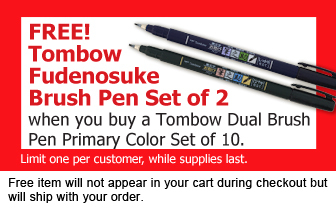 Tombow's odorless waterbased inks blend to create any color desired. Tips can be dipped in water to create subtle color washes. 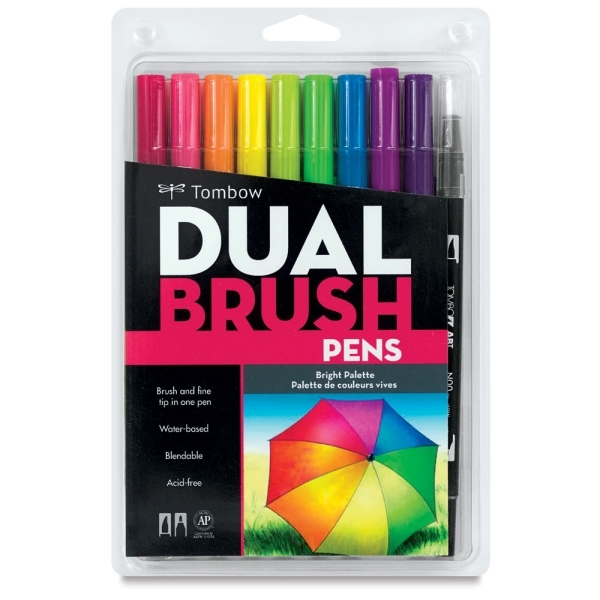 They're ideal for use with rubber stamps. 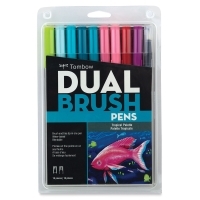 Tombow Dual Brush Pens are 7¾" long (20 cm) with color-coded caps for quick selection. 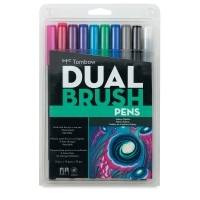 The brush nib and hard nib are at opposite ends, and the barrel's anti-roll design is perfect for busy artists. The pens are odorless, use non-toxic inks or pigments, and are acid-free. 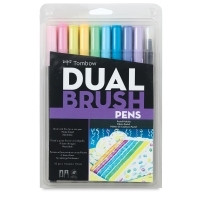 Set of 96 Colors — Includes 95 colors and a Blender, in a desktop stand for easy access.